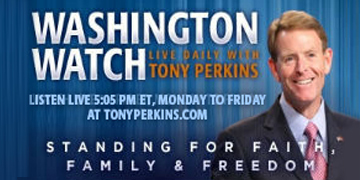 On this weekend edition of "Washington Watch with Tony Perkins" best-selling author, Senior Counsel and Director of Strategic Affairs for First Liberty Institute, and Fellow and Senior Legal Analyst with the American Civil Rights Union, Ken Klukowski, joined Tony to discuss the Trump Administration's request for the U.S. Supreme Court to issue a ruling on President Trump's military transgender policy. Ambassador-at-Large for International Religious Freedom Sam Brownback joined Tony to highlight the testimony Mihrigul Tursun recently shared with reporters in Washington, D.C., on the torture she experienced at a Chinese detention camp where thousands of religious minorities are being detained. Also, senior member on the House Committee on Foreign Affairs, Rep. Chris Smith (R-N.J.), joined Tony to highlight the passage of a bill to provide humanitarian aid to genocide victims.